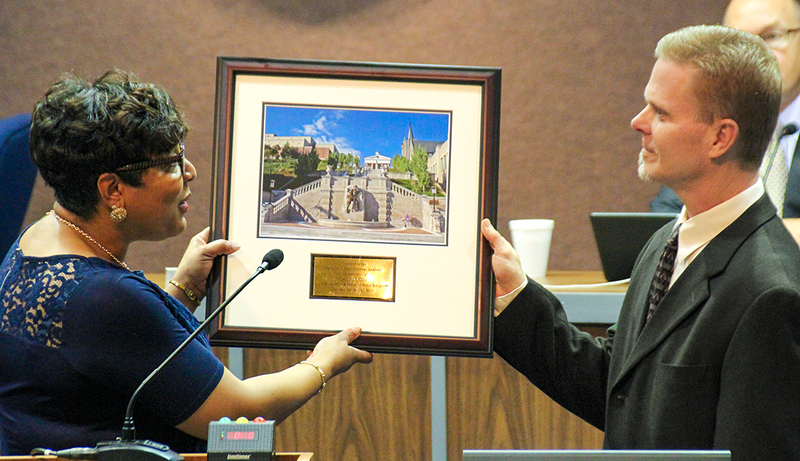 Vice Mayor Treney Tweedy presents Principal Doss the engraved plaque in honor of Desmond Doss. With Mel Gibson’s movie, Hacksaw Ridge, debuting in theaters on November 4th, the City of Lynchburg—birthplace of Desmond Doss—wanted to honor the heroic accomplishments that Desmond Doss displayed during World War II at the Battle of Okinawa at Hacksaw Ridge with a special plaque presentation and recognition of his war efforts. 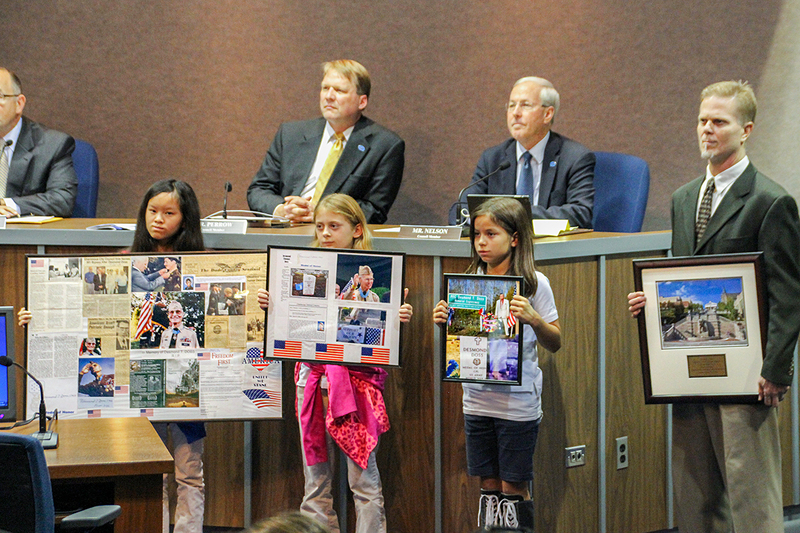 Knowing that Desmond Doss had a special love for the Academy named in his honor and that he had even visited our school and spoken with our students before his death, the Council of the City of Lynchburg (Va.) invited the students of Desmond T. Doss Christian Academy to first open the October 25th Council meeting by leading the body in the Pledge of Allegiance after the opening prayer. 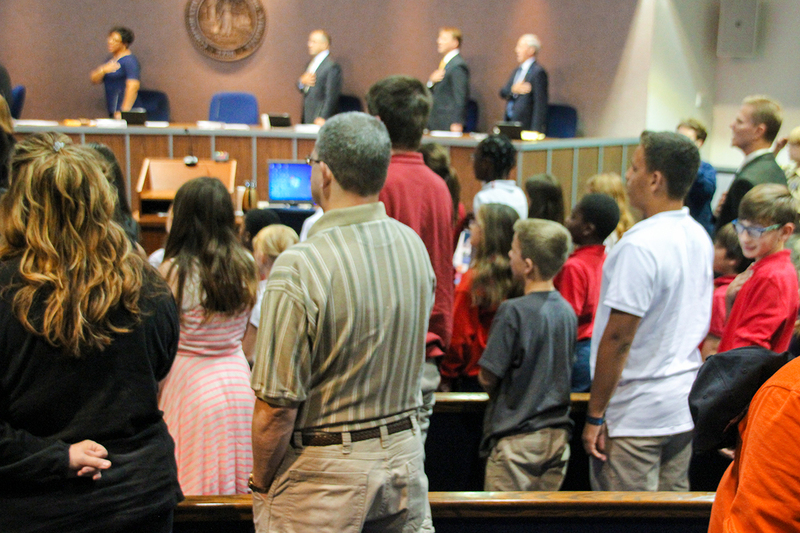 Students from Desmond T. Doss Christian Academy lead the Council meeting attendees in the Pledge of Allegiance. Students join Principal Doss by holding up framed montages of the life and service of Desmond Doss. Students from Desmond T. Doss Christian Academy attending the Council meeting. 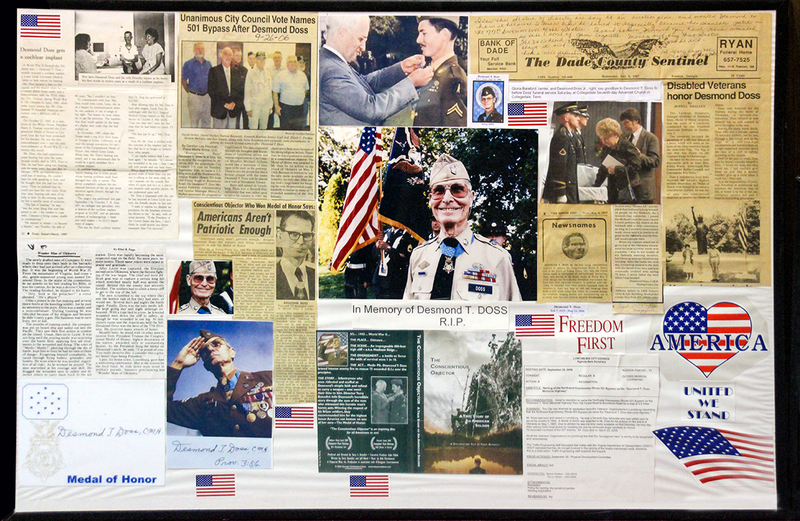 One of the montages of Desmond Doss displayed at the Council Meeting to honor the Congressional Medal of Honor winner. In conclusion, Tweedy mentioned that the documentary about the life of Desmond T. Doss called The Conscientious Objector would be shown on the city government channel. The trailer for that documentary can be viewed at https://www.youtube.com/watch?v=Nm_m8IWENJ4. 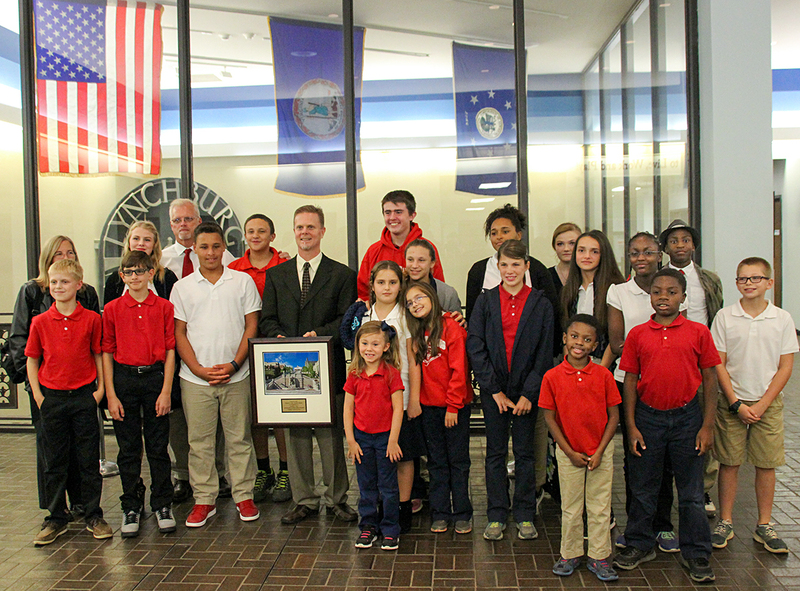 Students and teachers in attendance stand with Principal Doss after the meeting to joyously share the plaque honoring Desmond Doss.